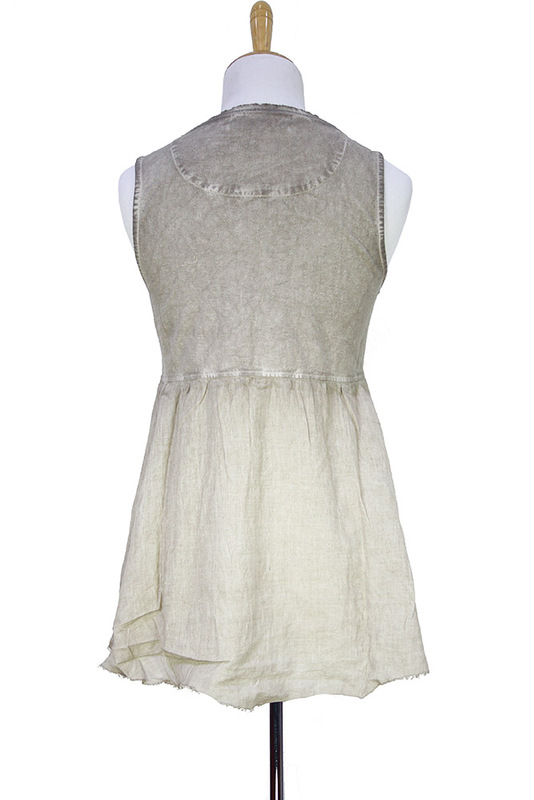 Aleksandr Manamis natural colour, with very distressed finish, sleeveless, buttoned top. 8 irregularly spaced buttons at front on black fabric. Upper section is blue black and the lower section, flares and is deep black. Sloping to longer at the rear. Decorative layered flower on left chest. Round neck with doubled layer trim with raw edging. Curving hem. Beautiful piece of clothing. size 10 = S and size 12 = M.